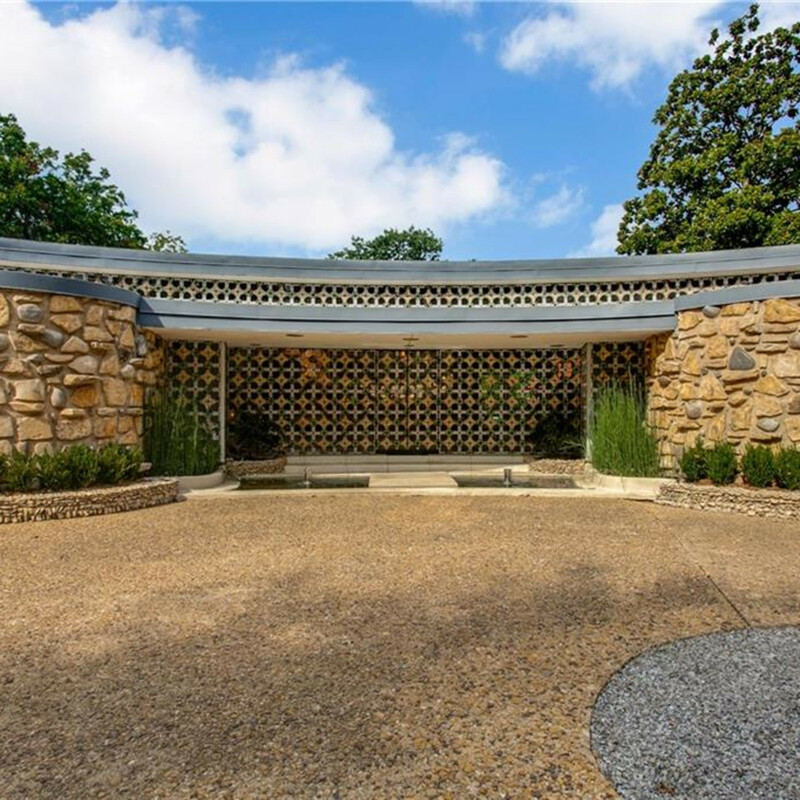 One of Dallas' most iconic homes, known famously as the Round House, has rolled onto the real estate market. 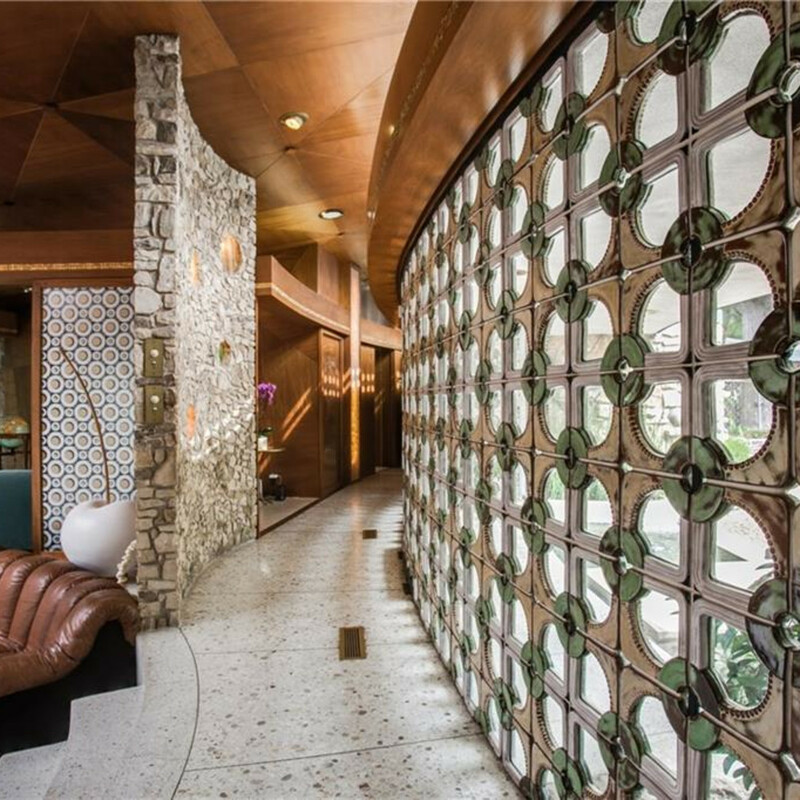 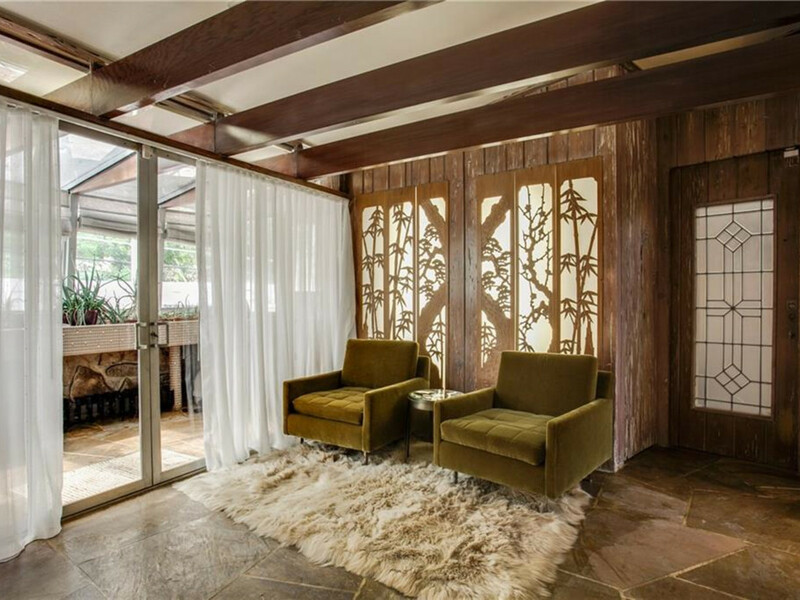 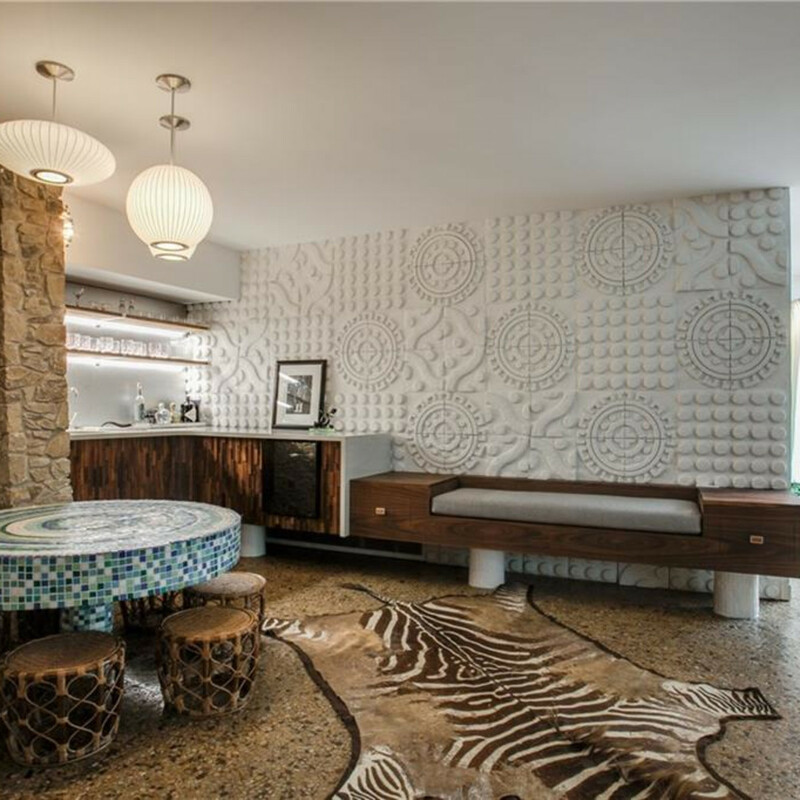 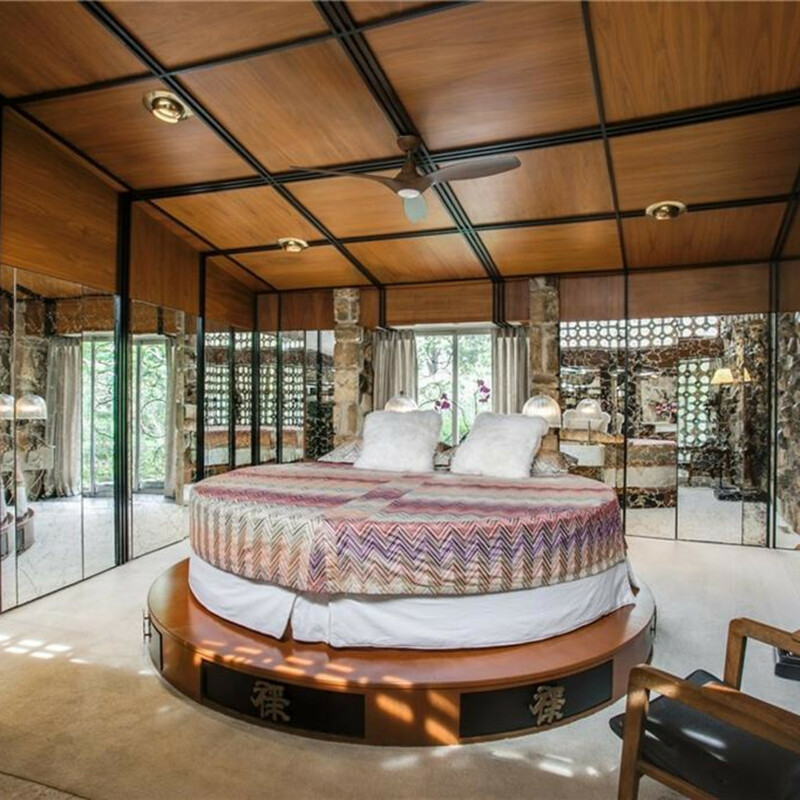 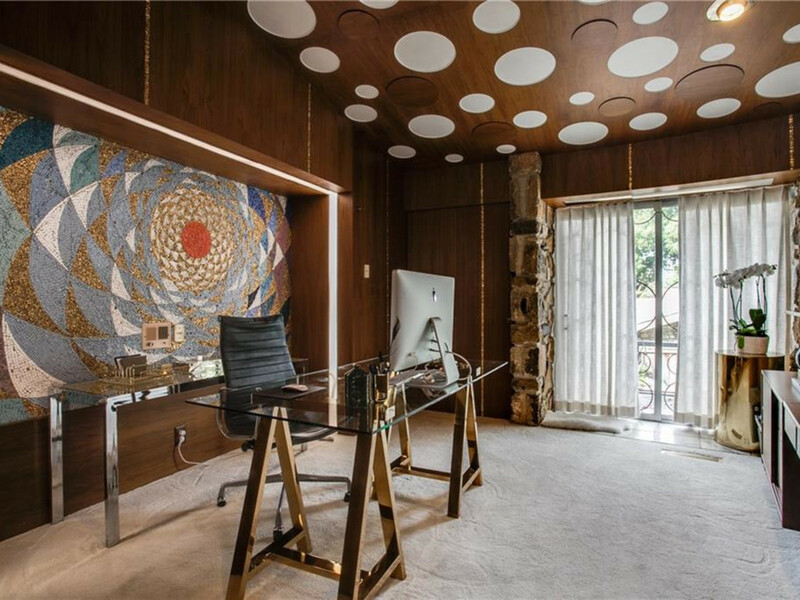 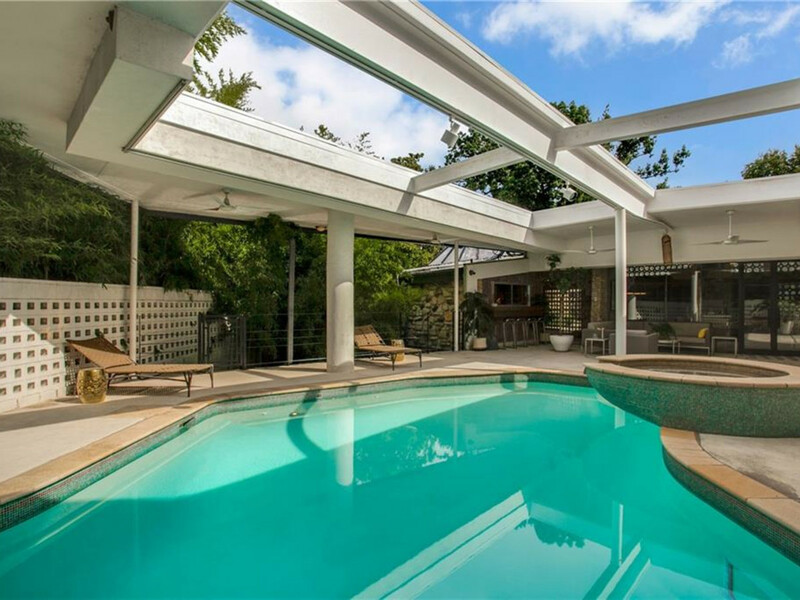 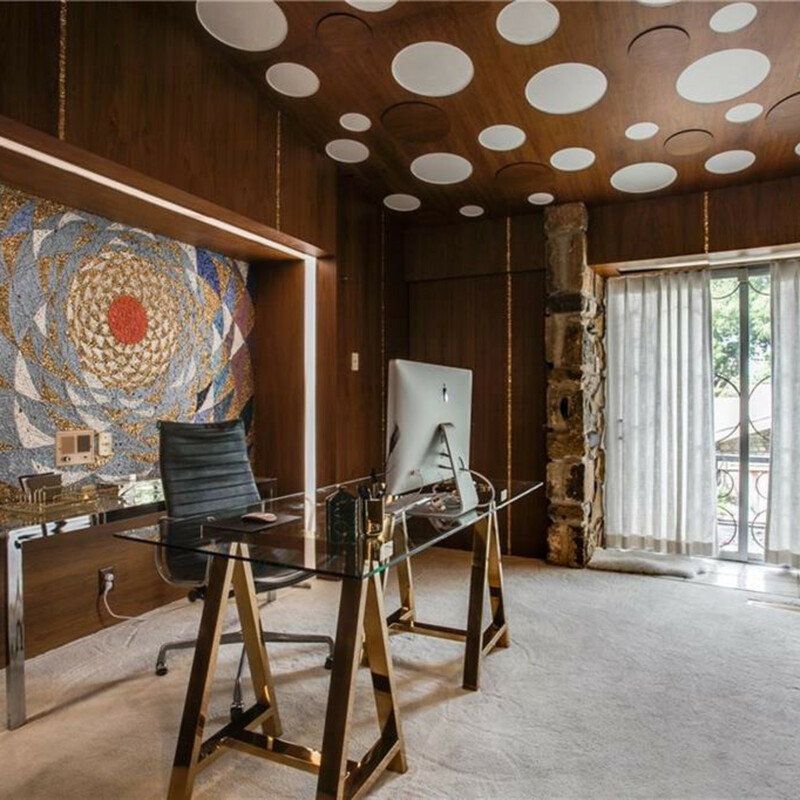 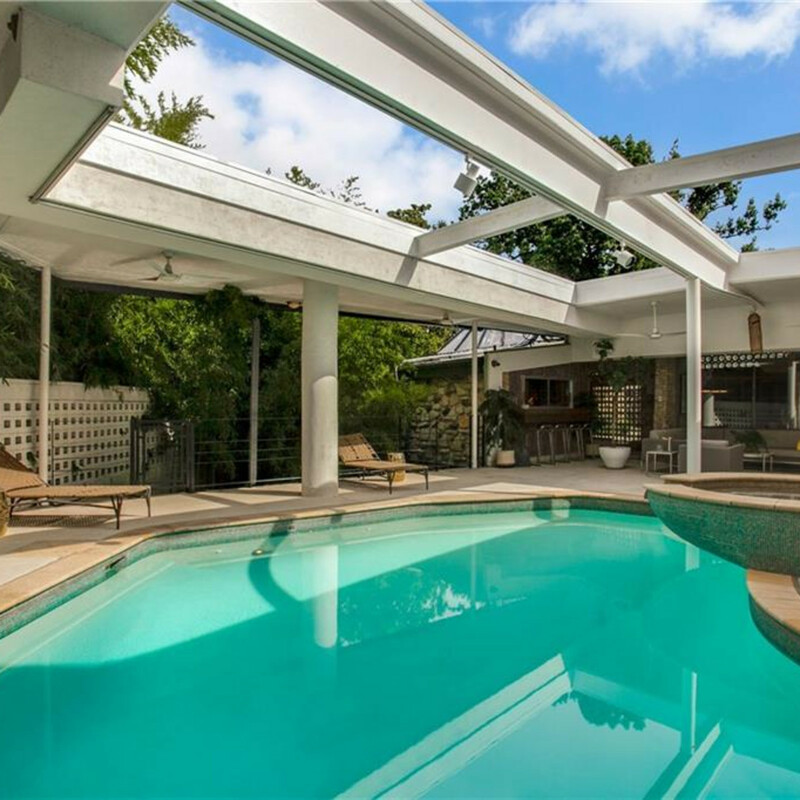 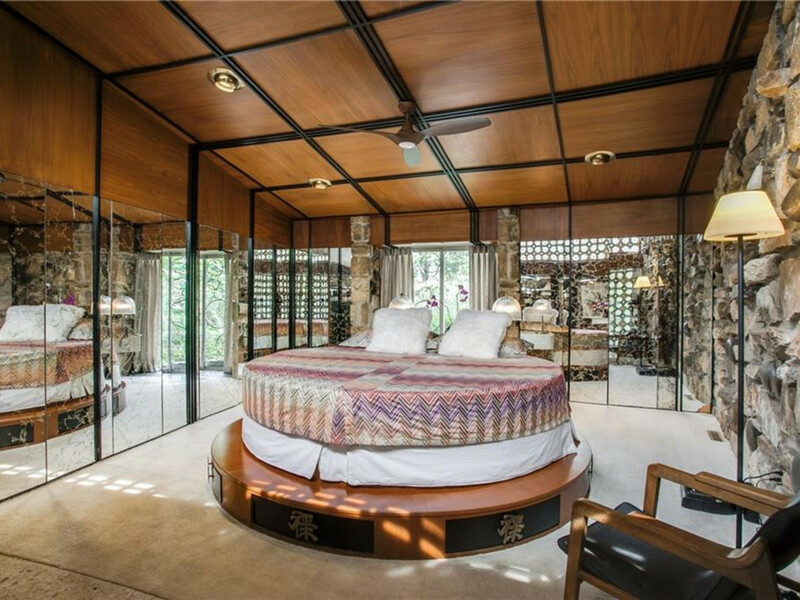 The midcentury modern marvel at 7507 Baxtershire Dr. is listed for $1.725 million with Richard Graziano of Allie Beth Allman & Associates. 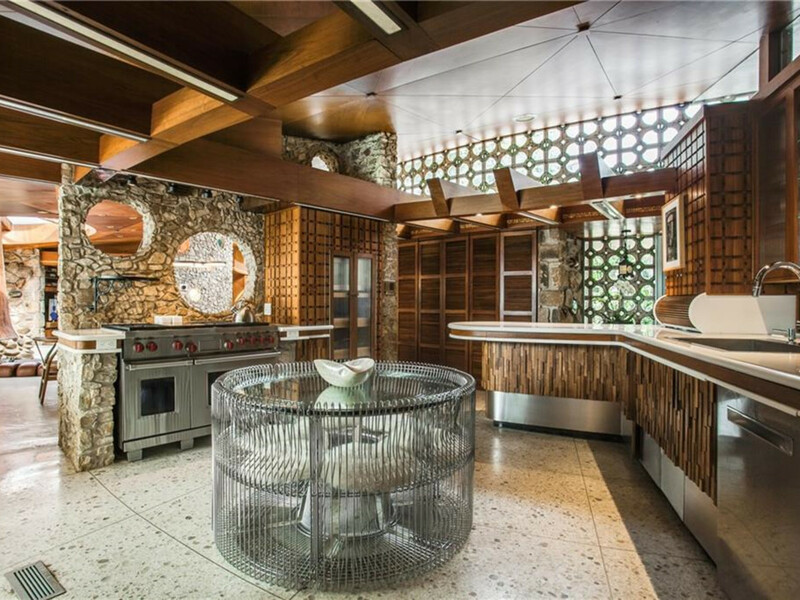 There's much legend and lore surrounding the home, which got its nickname because a wisteria-covered steel dome used to cover the motor court. 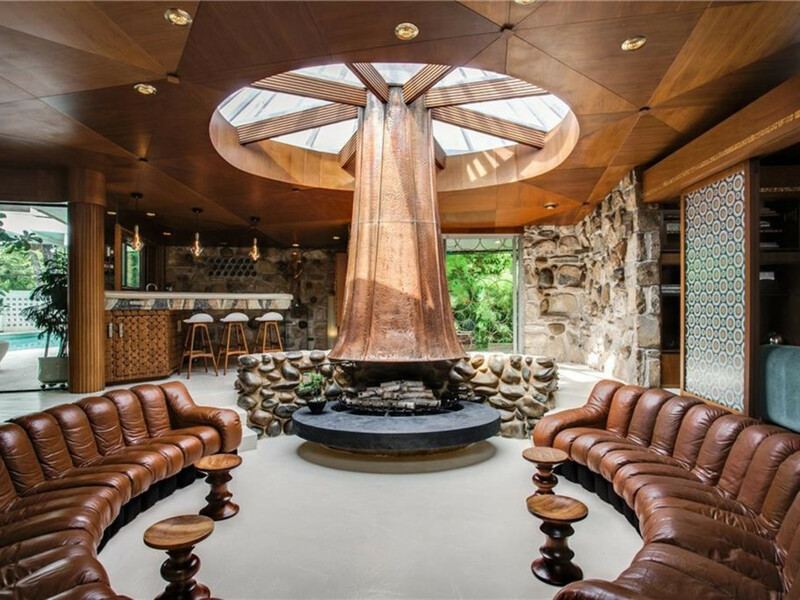 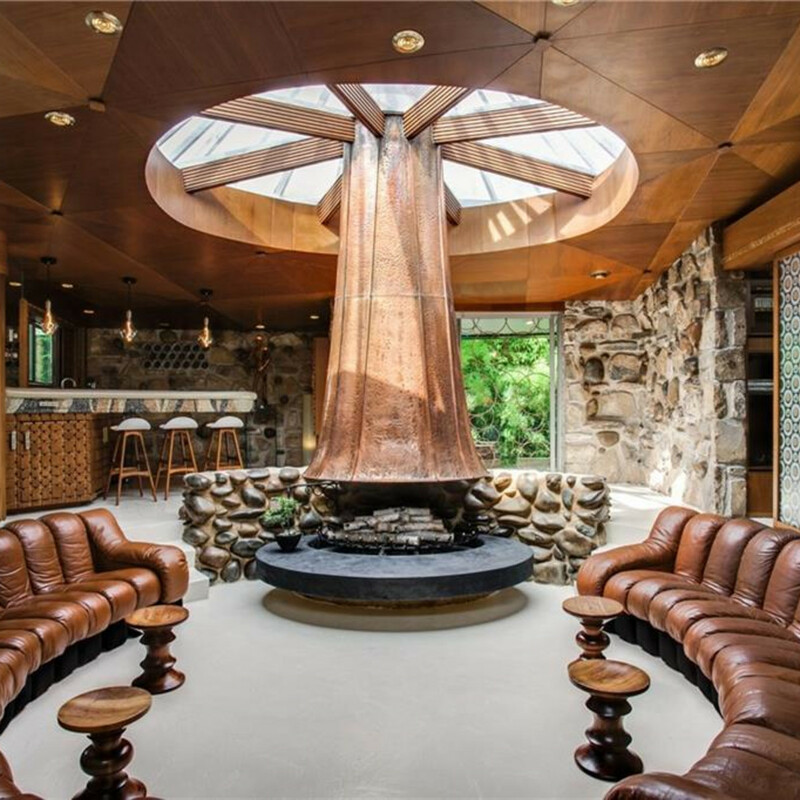 It no longer exists, but a huge domed skylight still crowns a fireplace in the living room. 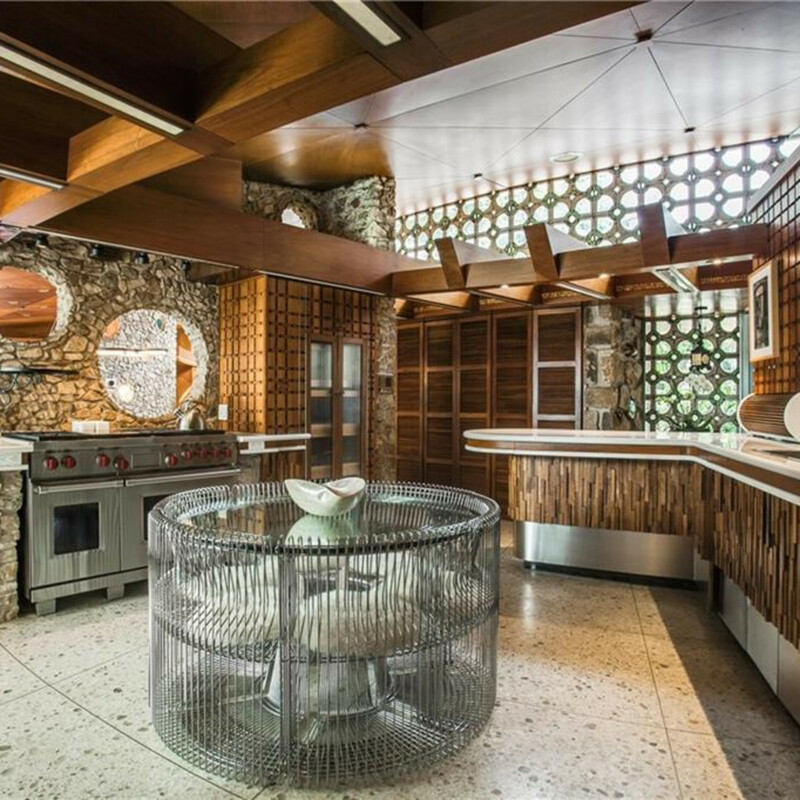 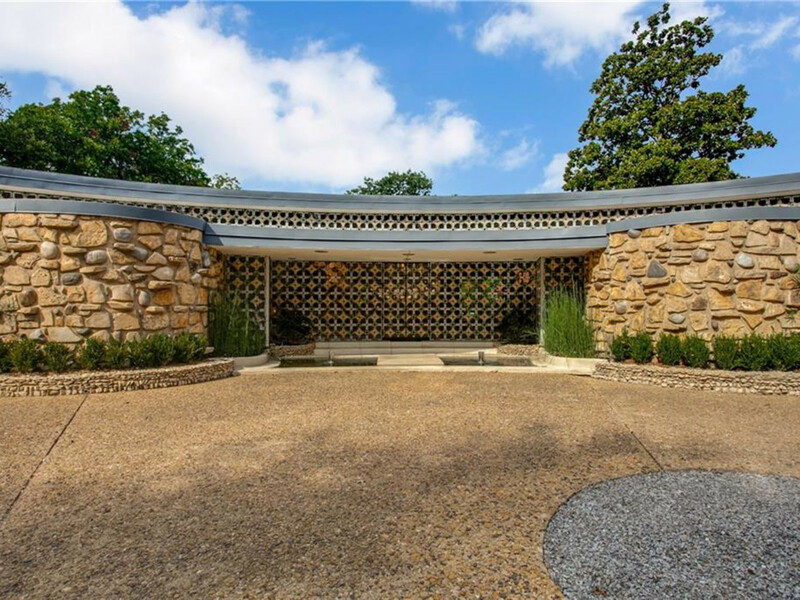 According to Dallas real estate expert Candy Evans of CandysDirt.com, the Round House was commissioned by Dallas businessman Eddie Parker and completed in 1962. 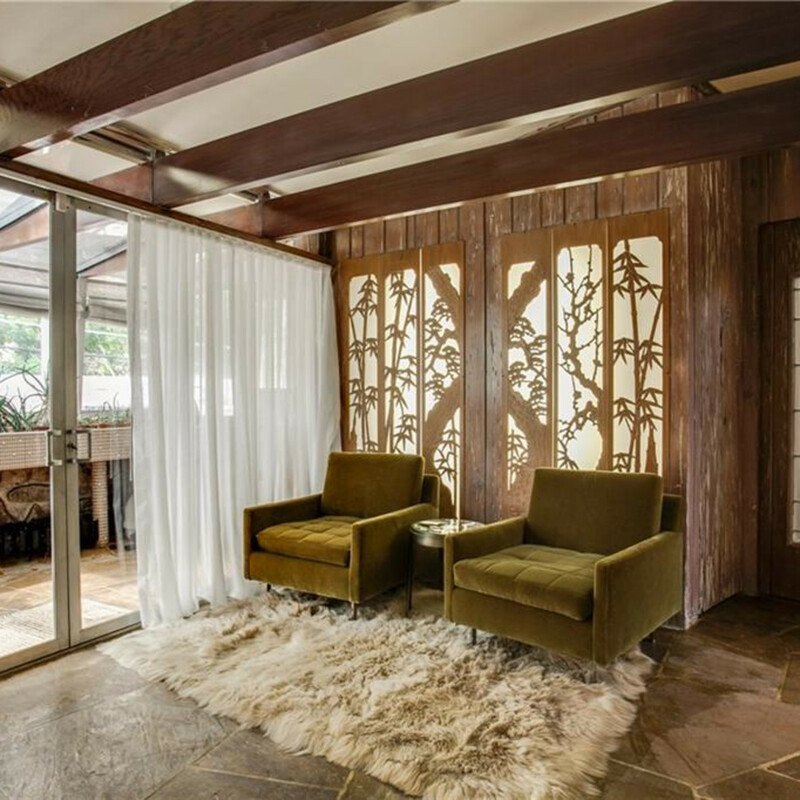 "The story is that Bruce Goff designed it, but that has never been confirmed," she writes on her site. 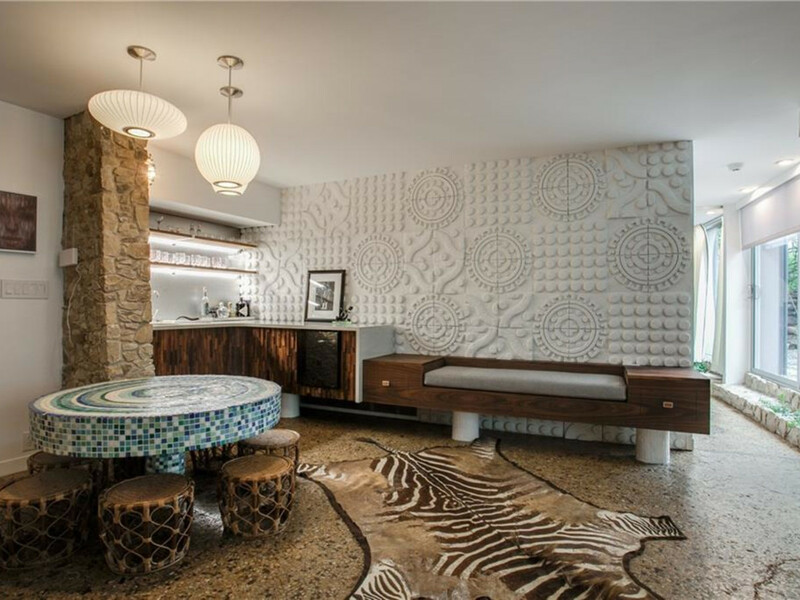 Goff was known for his whimsical, eclectic designs. 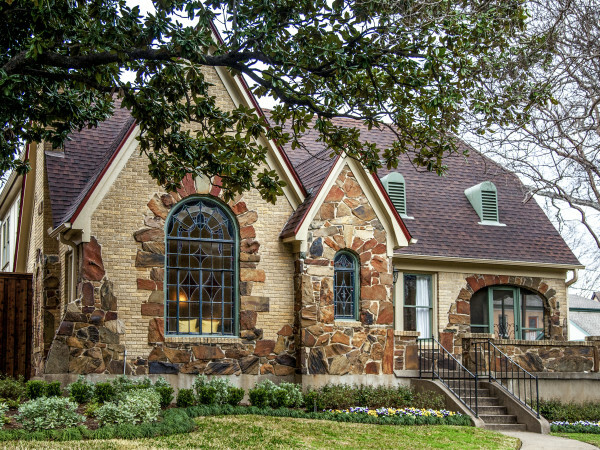 The Round House is still considered one of the most architecturally significant homes in the city and has gone on and off the market in recent years. 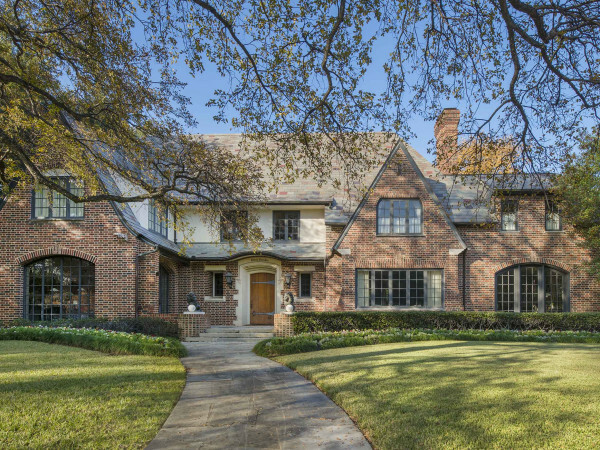 The 5,814 square-foot house has five bedrooms and four baths and sits on half an acre in the Jan Mar neighborhood of Dallas. 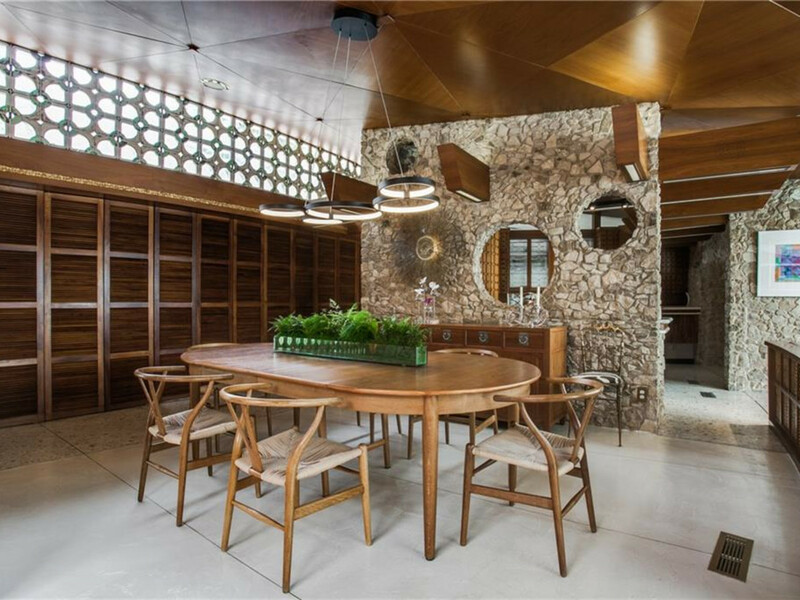 But the delight is in all the details: a mix of modern and vintage elements incorporating natural stone, wood, and glass; extensive walnut paneling; onyx terrazzo; Frankoma tiled glass walls; brass inlaid concrete floors; and intricate mosaics. 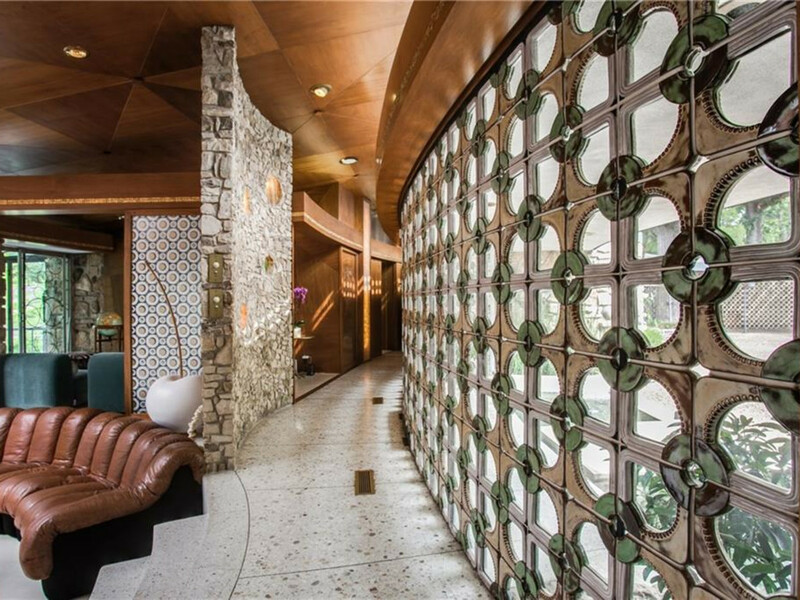 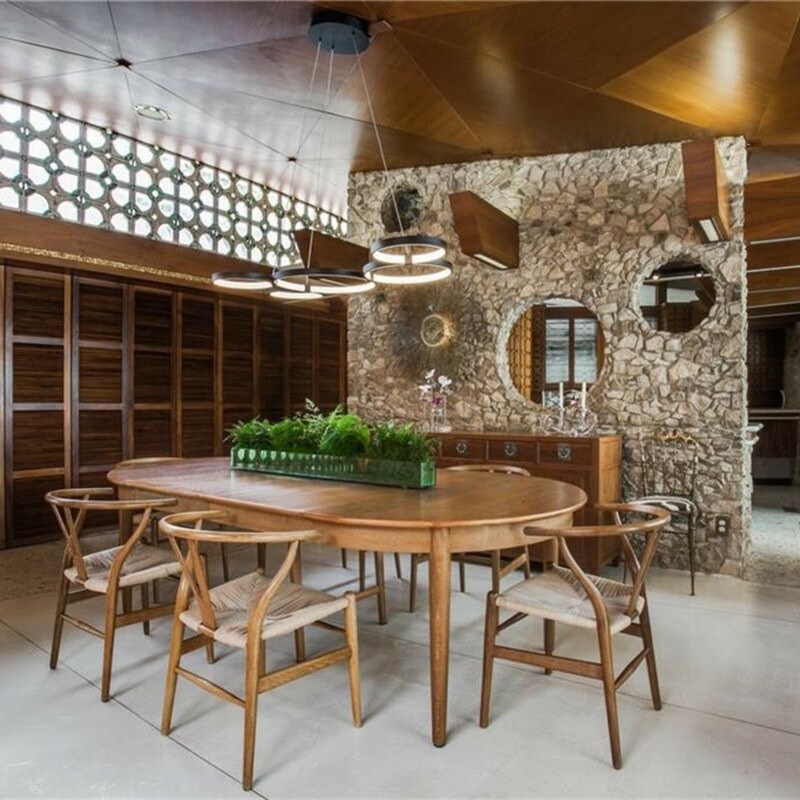 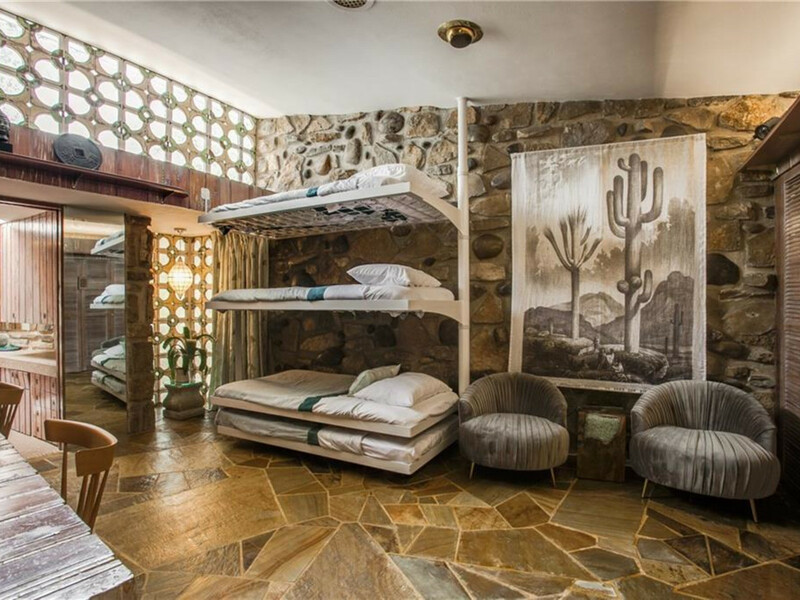 Additional design touches, Evans notes, include 24-karat gold-dipped ceramic tiles in the main living area and lots of 1960s-era materials, such as bamboo, rattan, and Hawaiian mahogany. 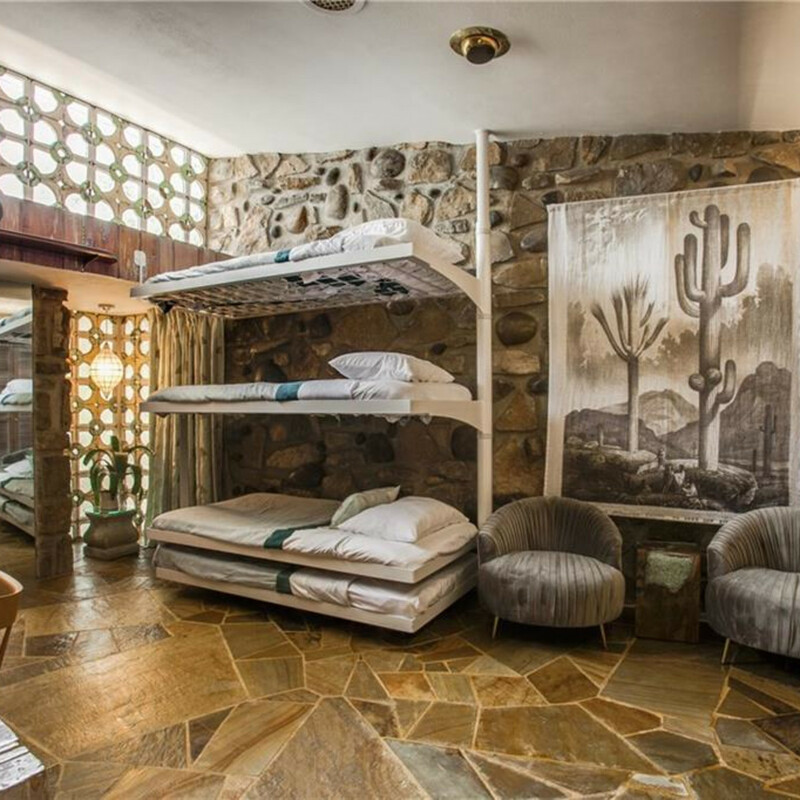 Other special features include a built-in wine cooler, greenhouse room, decorative lighting, vaulted ceilings, wet bar, a covered circular drive and carport for eight parking spaces, pool, and guest quarters. 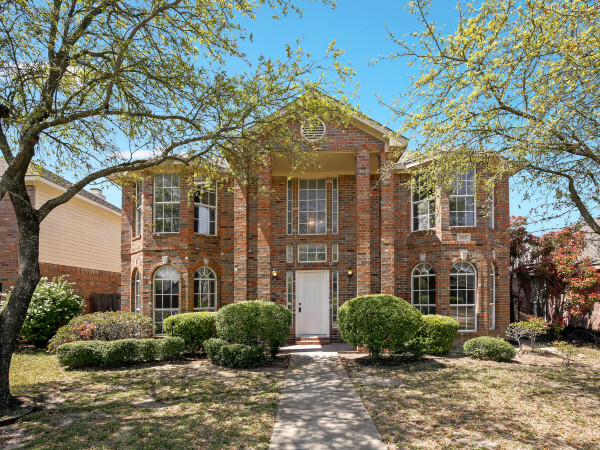 Anyone interested in a private showing should call Graziano at 214-302-5870.